February 14th is when this happened. April 5th is when we found out about it. They sure know how to cover their tracks. The cop in question was apparently lonely on Valentine’s Day. So the only way he could find company was to force himself on a maid he had behind bars in his headquarters in Nabatiyeh. The reason she was in jail? She tried to escape from her employers, for many reasons. Soon after, the maid was taken to a women jail in Baabda where evidence of violence was noticed on her body. An official investigation was opened but the judge saw nothing that deserved attention so he only ordered the cop to be arrested for one day. Soon after, another judge in Nabatiyeh found out about the incidence and worked on keeping the cop in question in jail, pending trial and further investigation. That’s not an excuse. Cops are supposed to be here to protect us, not violate us. If we can’t trust them to keep their hormones in check, then who can we trust? Perhaps Lebanese General Security should be way more thorough in checking those who apply to be part of their field. According to the article I linked to earlier, many General Security individuals have priors. How did they end up becoming those who keep the country’s security in check? I fear that this cop’s wasta will soon work to get him out almost unscathed. The raped maid? She’ll be deported soon because there’s nothing else we can do, even though her stay here has scarred her both mentally and physically for life. But for once, I salute the Lebanese judicial system for not letting something like this slide. Here’s hoping more maids get the same justice for the many wrongs Lebanese do to them – even if for a limited time. The “Lil Nashr” TV show, hosted by Tony Khalife, had Ali Mahfouz as one of its main guests for its Saturday March 17th episode. Mafhouz is the man that beat up the Ethiopian maid in front of her embassy. The maid has since committed suicide. Using the platform of the TV show, Mafhouz tried to come off as an affectionate man who deeply cared for the girl and was trying to sort out her affairs. He even went further than that and said he would never beat her up and that moment outside the embassy was unlike him. The rest of this post will be assuming that Mr. Mafhouz was, indeed, acting outside of his character – although I have to say that modern psychiatry and psychology would assert that this violent behavior is, in fact, within his character, whether he wants to admit it or not. The end result of the episode, which I was able to touch from both my parents, is that many individuals have lost their compassion to the maid and are now seeing her as an insane person, which clears Mr. Mahfouz. He is not in the wrong anymore. 1) A coroner’s job is to examine a dead body for a cause of death, among other factors. There is no way that a coroner (or medical examiner) can tell if the deceased person they’re examining was having psychotic episodes while they were still alive. It is beyond their scope. It is impossible to tell if a dead person was mentally ill via an autopsy and more importantly, there’s no way a coroner would have the authority to write a report containing such information. 2) I am very dismissive when it comes to Lebanese media for many reasons. But I never expected a TV show to host a man like Ali Mahfouz without advocating the victim’s side. This is not how proper journalism works, especially if it’s a TV station that supposedly respects itself. For the entire duration of the show, the arguments of the Ali Mahfouz camp were so front loaded that any attempt to speak on behalf of Alem Dechasa were rendered meaningless. This leads me to point 3. 3) The purpose of the episode, which I’m sure Tony Khalife is very proud of, was not to showcase the Alem Dechasa abuse in an objective manner. It was simply to help clear Ali Mahfouz’s reputation and to convert him from the man who led an innocent woman to her death to a man who was simply escaping the ramblings of a lunatic. Judging by the reactions I got from my parents, which I’m sure echo many other households that decided to tune in, their goal was achieved. New TV must be very happy with themselves. It is a sad day when a victim’s reputation is tarnished just so an influential Lebanese man can escape the consequences of his actions. A few days from now, the whole affair will be forgotten. It has already started. Those who had thought Alem Dechassa was innocent are now believing the contrary. The rationalization of the Lebanese ego that a Lebanese can never behave this way is starting to work full throttle. The government will soon follow suit, especially as the wheels of Mr. Mahfouz’s “wasta” start spinning. Alem Dechassa was killed three times. Once when her body was violated in front of her embassy and dragged into Ali Mahfouz’s car. The second time was when she got so desperate and took her own life. 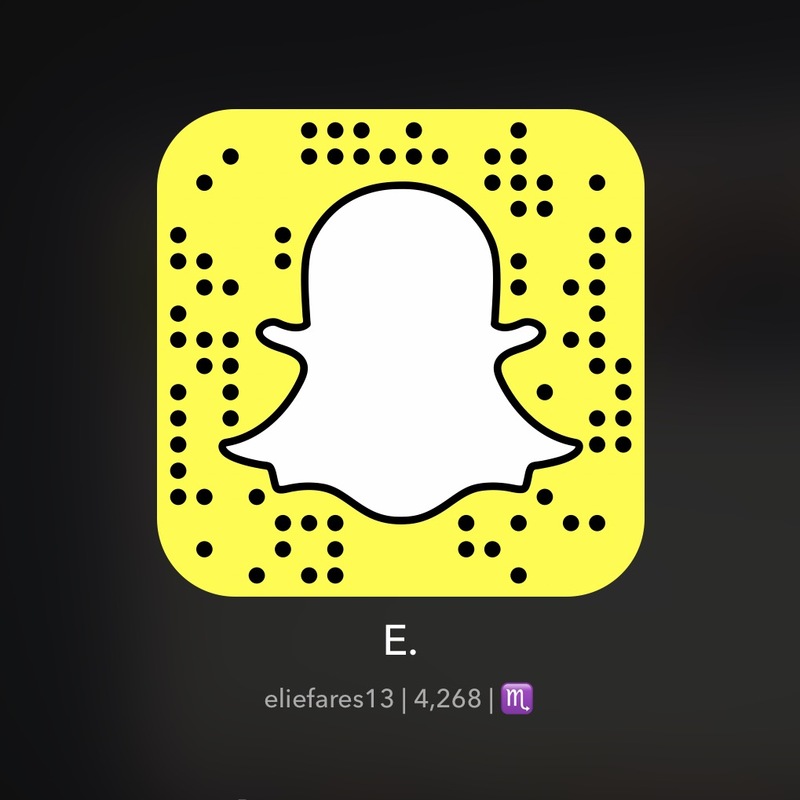 The third time was with the Lel Nashr episode that portrayed her as insane. The end result is simple: the victim becomes the abuser and the abuser becomes the victim. Well done New TV. Well done. Ali Mahfouz. Know the name. That is the name of a man who drove a woman to her death. After publicly beating her up, right at the doors of her embassy, Mahfouz dragged his Ethiopian maid into his car and out of sight. The government had noticed the event and is now working to bring the man to court. But what good is it for that woman and her family back in her home country? Mr. Mahfouz and his family created such an unstable work environment for the Ethiopian maid, whose name we still don’t know, that she drank detergent in an attempt to kill herself. That attempt was thwarted, leading to him beating up her in front of the embassy and somehow, in an interview conducted with LBC, he put the blame on the maid, denying he had even beaten her up. As if videos actually lie. This Ethiopian maid’s death will, unfortunately, go in vain simply because there are a lot of people in Lebanon who share the same mentality as Ali Mahfouz, who see these Ethiopian (and other nationalities) maids as their “slaves,” who see nothing wrong in abusing them, be it by overworking them, beating them up, verbally abusing them, banning them from contacting their families…. Many simply don’t see them as human being. They don’t see them as people who, like us, have their own story in life, who have a voice and who need people to hear that voice. Do you want to help me make the voices of maids heard? Then get aboard The Lebanese Help. If we manage to stop one family from being this abusive to their maid, then we can deem the plan a success. Change starts with a whisper. After initiating a new section on this blog called The Lebanese Help, the details of which you can check out here, LBC has procured a video of an Ethiopian maid being beaten up in front of her embassy by a Lebanese man. I won’t comment on the content of the video. I’ll just leave you to judge. The whole anti-racism movement in Lebanon is so weak it grasps at straws, even if it’s a harmless comedy skit. We also tend to get up in a fit the moment something like this video surfaces. We never see the maids as people who are coming here because they really have to, not because they want to. We think with our $150 we can own them. We think with the miserable salary we give them, we can silence them. But the maids have a story. And I will tell it. Those who will read them, good on you. Those who don’t, you’ll find company in darkness. 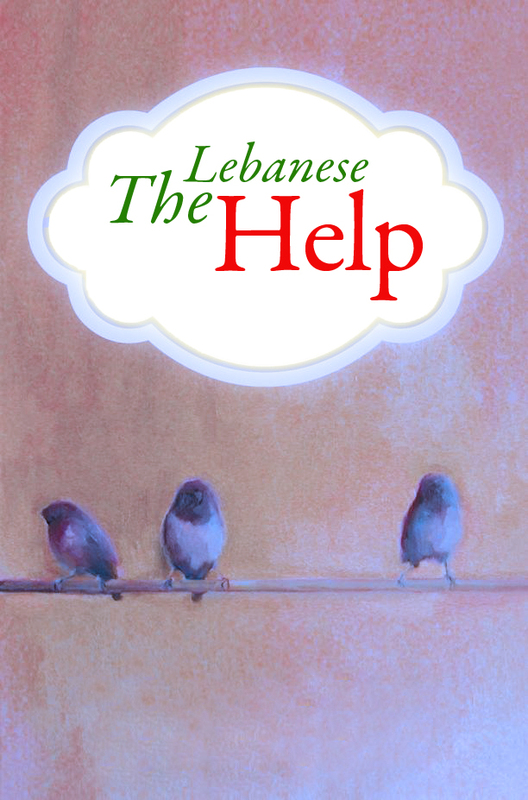 As I was sitting with some family members who were visiting my mother after a recent surgery, the issue of the “help” in Lebanon came up. I sat and listened as the “grown-ups” spoke about the maids that entered their homes and left. One of my family members, however, had never had a maid. With her turning 40 and an increasing backache, she was considering the idea – especially with one being available at her disposal the moment she says yes to her sister’s offer. But that woman was worried. The cause of her anxiety? She only had one bathroom at her house and God forbid the maid uses the same bathroom she uses. I never thought the passages present in the book, The Help, would actually pop up in such dramatic fashion in a Lebanese society. I never thought for a moment the bathroom issue was actually an issue in Lebanon. Aren’t those maids cleaning the bathroom to begin with? Aren’t we, in 2012, at a level of culture and knowledge that is sufficient to know that, unlike popular belief, those maids are not bringing in with them a ton of foreign viruses the like of which Lebanon has never seen before? I replied to my family member. I was strict and somewhat rude in my reply. I think she was offended but I didn’t care. I knew Lebanese society was racist but you never think it goes on in your family until it actually takes place in front of you. If you have your own maid story you want to share, don’t hesitate to contact me. I’ll start with telling the story of one of the maids that came into our home really soon.